AFP, May 8, 2017 - President Nicolas Maduro's plan for an elected assembly to draw up a new Venezuelan constitution faced headwinds on Sunday, when opposition parties refused to join the process amid continuing violent anti-Maduro protests. Although several opposition leaders had separately rejected Maduro's plan for a "people's" assembly, the center-right Democratic Unity Roundtable (MUD) formally announced Sunday that it would not participate. "We cannot take part in a fraudulent process," former presidential candidate Henrique Capriles said, appearing at a news conference with other MUD leaders. "We have a constitution, and the government cannot repeal it by act of force." But some analysts said they fear the opposition is leaving the way open for Maduro to change the constitution at will, possibly cementing his grip on power. Capriles effectively ruled out any opposition presence at a meeting on constitutional revision to be held Monday at the presidential palace. Opponents plan to march to the headquarters of the education ministry in central Caracas instead to explain their position. MUD rejects Maduro's proposal to elect half the members of the constituent assembly by voting in sectors it says are government-controlled, while the rest would be chosen in municipal elections. Capriles maintains that Maduro -- whose leadership is rejected by seven of 10 Venezuelans, according to polls -- is trying to avoid a general election, the main demand of the opposition protests since April 1. There is no provision in the current constitution for the sector-by-sector elections, Maduro says. 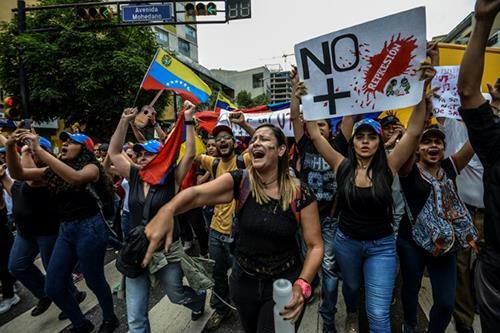 Opposition leaders said Sunday that they plan an intense day of protests to demand elections and an end to the "repression" of demonstrations, which have left 36 people dead and hundreds injured or jailed. Citizen assemblies would be held Tuesday to explain the "flaws" in the constituent assembly, deputy Stalin Gonzalez said. He said there would be a march Wednesday on the Supreme Court and other judicial offices around the country, and other protests Thursday and Friday. 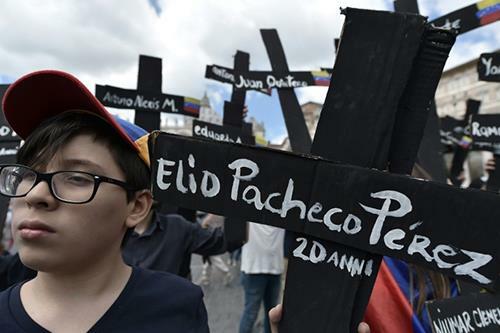 None of the demonstrations has managed to reach the center of the capital, considered a bastion of Chavismo, the left-wing ideology created by Maduro's predecessor, Hugo Chavez. On Sunday, the presidential panel guiding the constituent assembly process, led by Elias Jaua, met with youth group leaders. Jaua, a former vice president and foreign minister, told them the assembly would provide a path to peace and co-existence between the opposing sides. Some analysts warned that MUD's decision to sit out that process could leave the way open for the government to change the constitution at will. "If the opposition maintains its position," political scientist Luis Salamanca said. "Maduro could change the very model of the state to perpetuate his grip on power." "Do not leave the space free," he warned, adding, "this could be the last election in Venezuela." Maduro's plan has drawn widespread international criticism. The United States, Mexico, Brazil and Spain have said that any process to modify the constitution requires universal suffrage. Chile has said the process is worsening an already bad political crisis, and Luis Almagro, secretary general of the Organization of American States (OAS), has called the process "fraudulent." But Maduro insisted his hands were tied, insisting that he was dealing with an alleged "armed insurgency" seeking to oust him. "There are two paths: either there is peace or there is fascism. Either we rewrite the constitution or we bow to interventionism," he told aides by phone late Sunday. In eastern Caracas, a thousand demonstrators sang or played drums, violins and guitars as they marched Sunday against the violence of the past month. "Music is my only weapon," said the cardboard shield held in one hand by a demonstrator, as he carried a guitar in the other. "We want to assert the values of musicians," said Anyibel Trejo, an 18-year-old with a viola. "We are not terrorists. They are killing us. We are with the people, united." An 18-year-old violinist was among the 36 protesters killed so far. He was honored at the march. Carmari Garcia, who works for the National Orchestra System, said she wants to see a new president. It is time for "the dictatorship to end." Opposition leader Leopoldo Lopez agreed, calling for more protests.